"All in all, a good awakening". This is what I tought when I looked myself in the mirror yesterday morning. 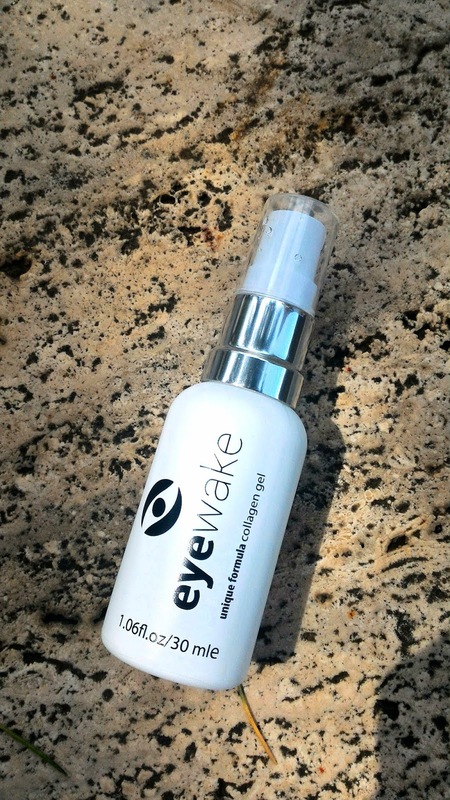 I had applied my new EyeWake moisturizing gel for the first time on Monday night, before going to sleep. But let's go step by step. 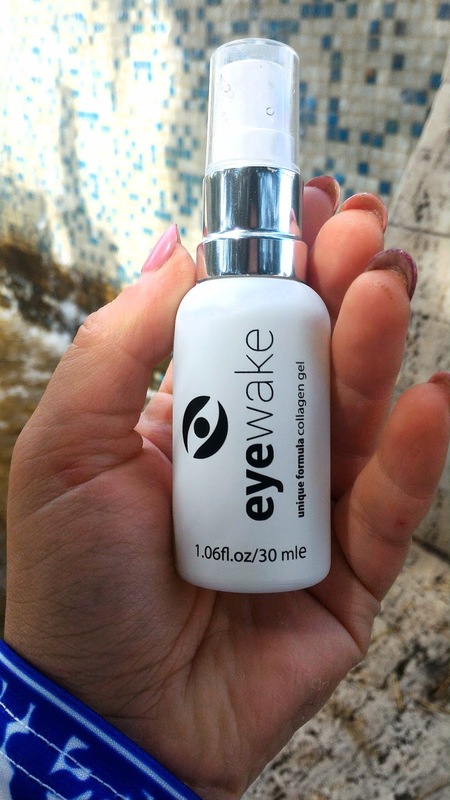 When EyeWake emailed me for testing their product, I definitely caught the ball: the gel they kindly sent to me is created specifically to combat dark circles and puffy eyes, which are things I have, unfortunately, in abundance. I was pleasantly impressed. 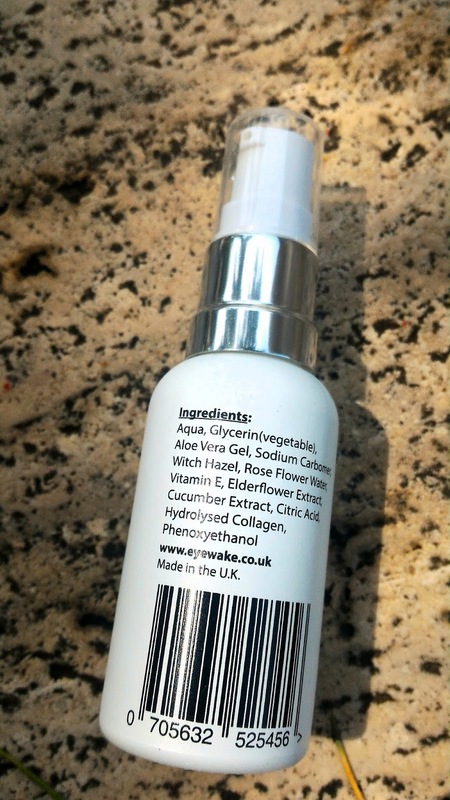 In addition to its main function, it's also referred as anti-wrinkle face cream, as it contains collagen and vitamin E. The consistency is rather liquid, I expected it to be denser. In fact, you have to pay attention spraying it with the pump dispencer, because it throws out more product than necessary - you need a little bit of it! 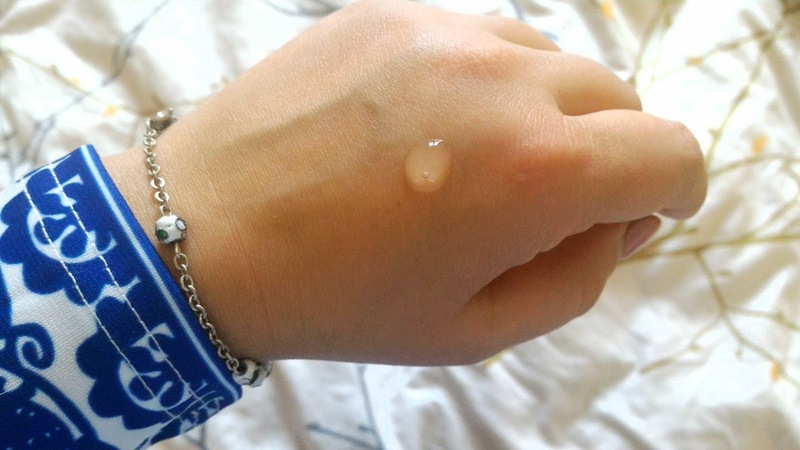 - and there's the risk of making a mess: it drips nearly immediately as soon as you incline your hand (personal experience...). The first thing I did was to smell it - I always do that with almost all cosmetics: good the scent, rose water is a very nice presence, but it remains a slight fragrance anyway, so it's also suitable for the most sensitive nose. 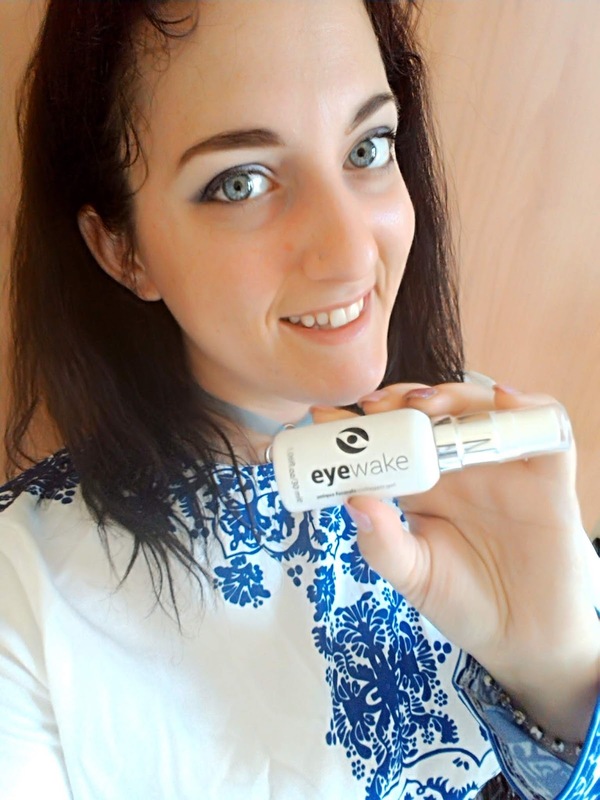 I used it for the first time in the evening, and in fact, the next morning, the affected area was smoother and more hydrated than ever - usually when I wake up I already have eye bags, there's nothing to do. 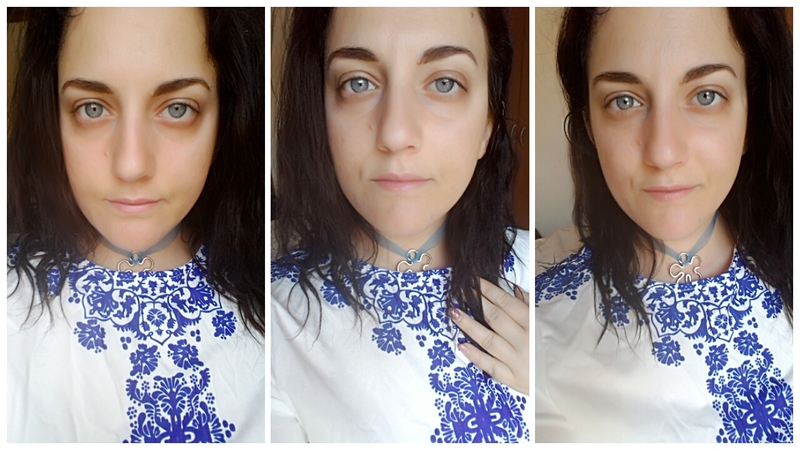 The pics in this post were shot after the second application, on Tuesday, just before rolling on to my make-up daily routine. Seeing the EyeWake in action has quite satisfied me, and I noticed the difference between now and the days before. In the end, I also tried it as makeup base, and even there, I must say, it didn't disappoint me: both the foundation and eyeshadow last longer and adhere better to the skin. The bottle is made of glass and contains 30ml of product, which makes it handy to carry with you in your bag or on the go. Only one flaw: I would have appreciated a small "booklet" inside the box with usage instructions. However, on the website, you can find the directives for a correct application, so it's something that can be overcome, after all. 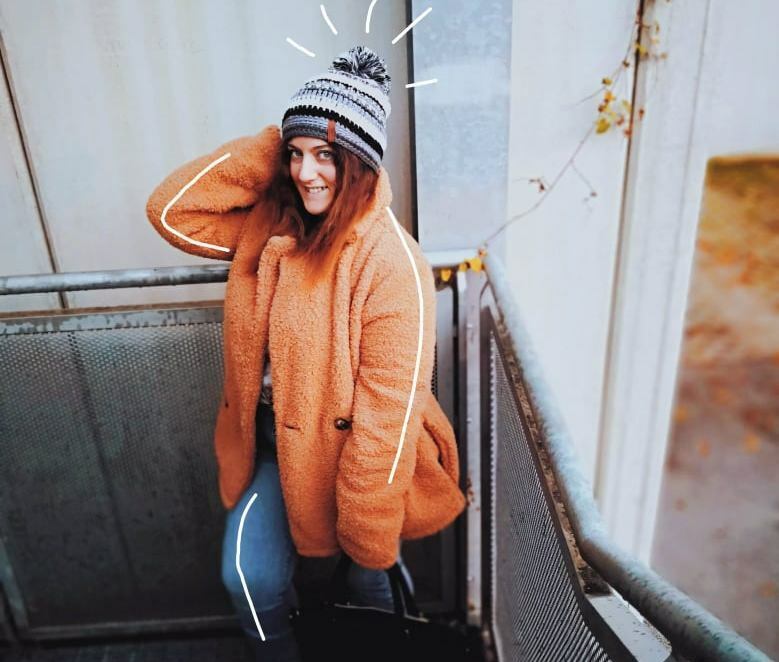 In conclusion, it convinced me for its affordable price (on Amazon at €17,95) and for the quantity needed on single use, especially if you think it's a multipurpose article with 3 different functions. Furthermore, the British company proved to be very earnest sending me the product immediately after I had confirmed my will to try it. Another note: for each gel sold a donation goes to Woman's Aid, so hats off to them! 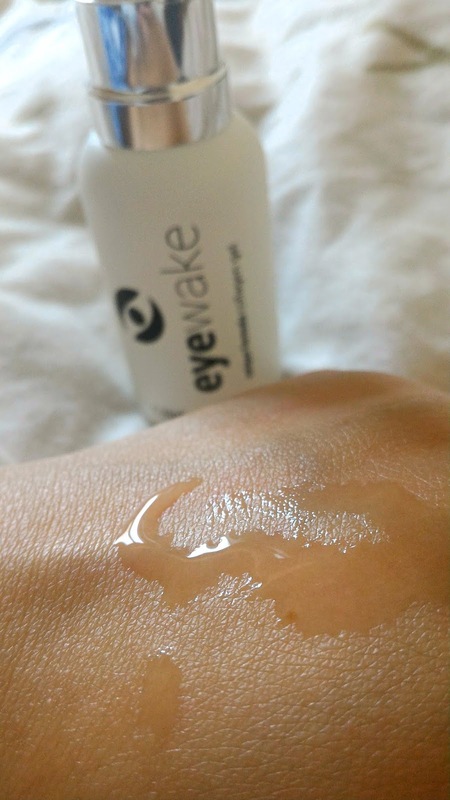 I hope I have been helpful and I thank EyeWake again to letting me test their gel!